Cowra’s new Ambulance Station is under construction, with a sod-turning ceremony with local Nationals MP Steph Cooke. The Member for Cootamundra Coward Mayor Bill West and representatives from NSW Ambulance, Health Infrastructure and the Western Local Health District to mark the occasion. The new station at Kite Street has been designed with input from local paramedics and tailored to the needs of the local Cowra community and surrounds. It will ensure local paramedics have fit-for-purpose infrastructure to better meet the emergency medical care needs of the local community. 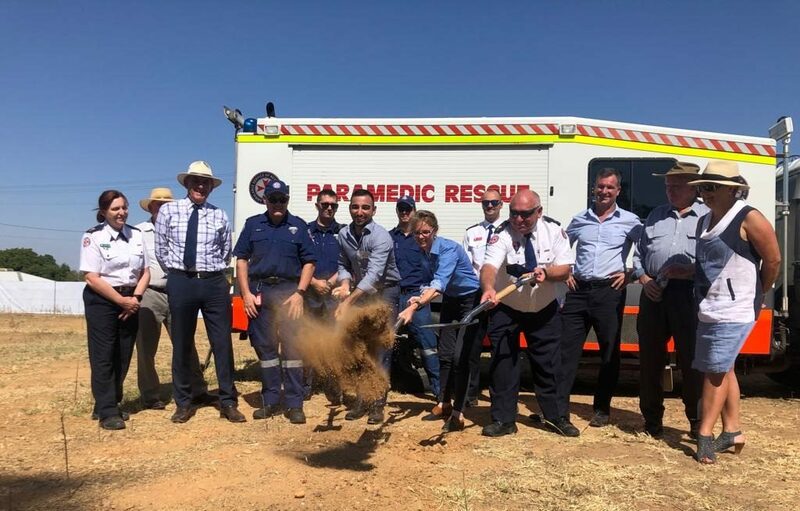 To date, 23 upgraded, rebuilt or new regional and rural ambulance stations have been announced under the RAIR program, including projects at Grenfell, Coolamon, Temora, Ardlethan and Harden. This represents the biggest regional and rural transformation of NSW Ambulance infrastructure in the organisation’s history.